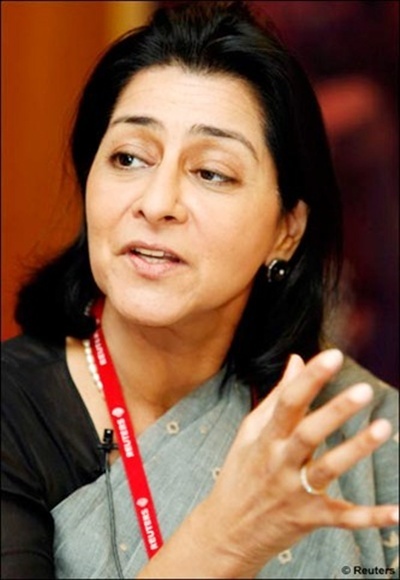 Days after RBI tightened liquidity to check rupee fall, HSBC country head and Ficci president Naina Lal Kidwai said the move was bad for industry as it would eventually lead to hike in interest rate. Kidwai hoped that these measures will soon be eased as they have been effective in checking free fall of the rupee. "Economy is in the problem. The reason it came (RBI actions) was to help the economy in that the rupee fall was sought to be corrected and it did. It corrected the rupee," she told PTI in an interview. If rupee shows normalcy, she said, the measures announced to check rupee fall should be eased. being an interest rate rise," she said. "So, to that extent its not good for the industry. So, I hope it does not stay forever," she said, adding, the steps are temporary in nature. Kidwai said she hopes that the steps could be eased in a month or a two. Image: A bank employee counts bundles of rupee notes at a cash counter in Agartala, Tripura. 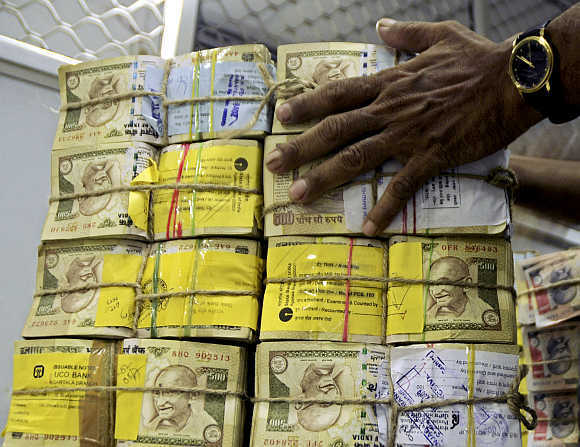 In a move to stem the continuing fall of rupee, the RBI earlier this week came out with a slew of measures including hiking the lending rates for banks, limiting the borrowing of the system at Rs 75,000 crore (Rs 750 billion) and sucking up of Rs 12,000 crore (Rs 120 billion), to make the currency dearer. The measures came after high level meetings between the Prime Minister and the Finance Minister followed by discussions with RBI Governor D Subbarao who was called as the rupee lost 33 paise to reach 59.89 after touching over 61-levels last week. Under the measures announced, RBI raised lending rates to commercial banks 2 per cent to 10.25 per cent making the loans costlier. Image: Reserve Bank of India Governor Duvvuri Subbarao speaks during a business conference in Ahmedabad.